Maserati cars are known for its high speed and sporty looking luxury cars. In 2011, Maserati launched Maserati Gran Cabrio in India. The company tagged the Maserati Gran Cabrio price at Rs 1,42,99,000 (ex-showroom, New Delhi). Maserati Gran Cabrio convertible is a sensational power packed car which is equipped with powerful 4,691 cc engine which generates maximum power of 7,000 rpm and top torque of 490 Nm. 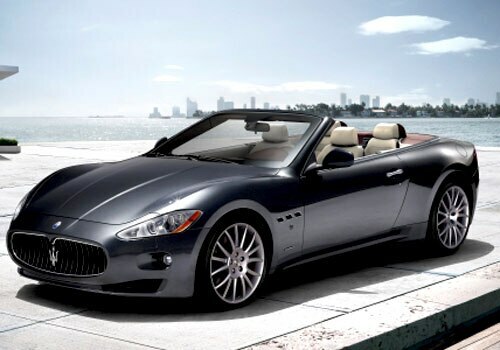 Maserati Gran Cabrio is a perfect car for those people who are looking for speed and elegance in a single vehicle. In just 5.2 second, the Gran Cabrio can accelerate from 0-60km/hr and it can achieve a top speed of 283 km/hr. The exteriors of Maserati Gran Cabrio are very enchanting. The metallic paint on the front grille gives a classy and elegant look to this power packed car. It is also equipped with front parking sensors and rear parking sensors which allows a safe parking to the car. Maserati Gran Cabrio has the capacity of seating 4 passengers with absolute comfort. The elegant dashboard and control systems on the driver side which gives a feel of total control to the person who is driving the car. The mesmerizing features and looks of the Maserati can take away anyone’s heart. Maserati Gran Cabrio comes with a powerful 4.7 liter engine V8 engine. If we talk about the mileage of the car, the fuel efficiency in urban cycle is 11.8 mpg (23, 91/100 km). This supercar delivers fuel consumption of 18.3 mpg (15, 41/100 km) in combined cycle. Gran Cabrio can be said as more fuel efficient because the weight of this super car is less in comparison to its rivalry cars. In the list of upcoming cars Maserati would launch Maserati Kubang which is expected to be launched in April 2015 in the global market. On the other hand, several SUVs like Tata Safari Storme, Renault Duster and Premier Rio Diesel, New Chevrolet Captiva along with a few sedan cars such as New Hyundai Elantra, BMW 3 Series and Volkswagen Jetta petrol are going to be launched very soon in the country. I shared that Tata Motors to Unleash the Magnanimous Safari Storme Soon and 2012 Chevrolet Cruze Loaded with Refined Features and Sparkling Looks.